Moving to Singapore with your family is a chance to truly immerse yourself in a culture that is vibrant, ever-changing and brilliantly unique. There is so much to see, do and learn, making the city a popular choice for expats. And for good reason: Singapore ranks second in the Safe Cities Index 2017 (beaten only by Tokyo). In 2014, Bloomberg highlighted its healthcare system as the most efficient in the world, citing it as the place that healthcare costs go furthest (most expats choose to take out global health insurance). Here are a few of the incredible events and activities that expat families can visit and take part. We hope this inspires you to make the most of your new home. The annual Singapore Food Festival is a must for expat families. Since 1994, the Singapore Tourism Board has held the festival to show off the city’s diverse culinary culture. Entry is free, which is ideal for large families with lots of hungry mouths to feed! It is a great chance to sample local delights and multicultural cuisines – from abacus seed (yam gnocchi) and kimchi popiah (spring rolls) to rojak (a local salad with fruits and vegetables). If your kids are finding it hard to settle into their new home, or you just want to keep them engaged with the local culture, then exploring the different stalls and dishes of the Singapore Food Festival might bring back their appetite for the city. 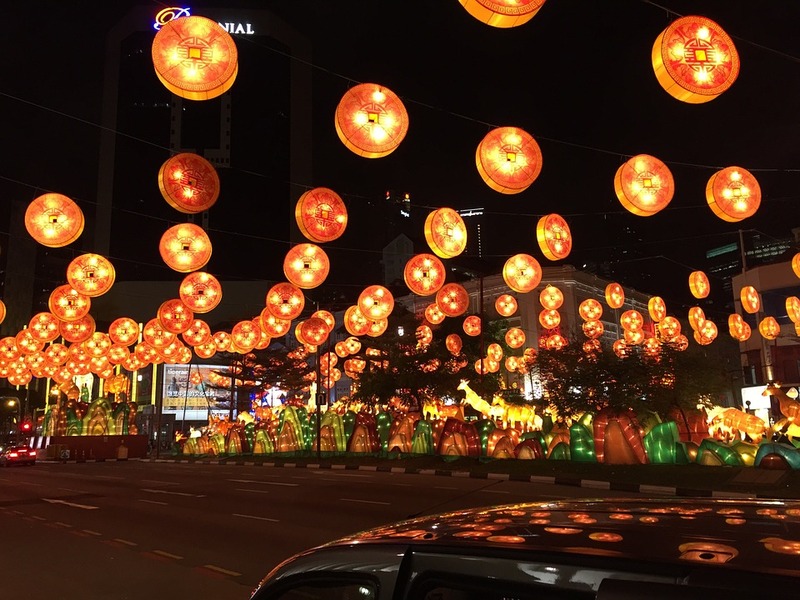 Chinese New Year is an annual celebration that you absolutely must experience in Singapore. From bright red lanterns and gold money cats lining the streets, to spectacular dragon processions and delectable smells of oriental spices wafting from the city’s restaurants, Chinese New Year is a treat for the senses. It’s also an important part of Singapore’s culture, as the Chinese community makes up more than half of the city’s population. Singapore does not do the celebration by halves: the annual River Hongboa takes place on board a floating platform with colourful fireworks and Chinese zodiac lanterns. The Chingay Parade involves sparkling dancers, wondrous dragons, magnificent stilt walkers and vibrantly decorated parade floats. The Hindu festival Thaipusam is also an important date in Singapore’s cultural calendar, and is a spectacle for people of all ages. It’s a two-day festival that begins at the Sri Srinivasa Perumal Temple and finishes at the Layan Sithi Vinayagar Temple. The colourful procession travels just under three miles and is an amazing glimpse into the traditions of the Hindus, who prepare spiritually for one month on a strict vegetarian diet. The most committed devotees put skewers through their tongues (which can only be done once the mind is free from material longing and the body is exempt from physical pleasures) and carry spiked kavadis (altars). Others balance wooden kavadis on their shoulders with flowers and peacock feathers, and some simply carry a jug of milk. Whether you’re living in Singapore with your baby, toddler or teenager (or family members of all ages), you might also enjoy a trip to Sentosa to see the Wings Of Time performance. This is an outdoor night show set against the backdrop of the sea that features lasers, water displays and music. While little ones will no doubt be mesmerised by the bright colours and dancing lights, older children may enjoy the magical story. It is popular with tourists and expats alike who want to escape to a fantasy world for the night. There are many ways to have fun and stay healthy in Singapore. From yoga and meditation classes to jogging and going to the gym, there are a lot of widely available fitness options. For kids, there are plenty of swimming pools to splash around in and parks where they can let off steam. As a treat, attractions like the water park Wild Wild Wet are popular for families that want a fun day out that involves lots of exercise and fresh air. Combined with a healthy diet – high-protein, low-fat foods with lots of fibre are widely available in Singapore – it’s possible for all the family to stay fit and healthy while living in the so-called ‘garden city’. While you’re getting settled into your new lives in Singapore, consider educational trips to boost your children’s confidence about going to school in a new country. The Science Centre is a popular trip for expats as there are lots of interactive exhibits to inspire budding young scientists. For parents who want to teach their children about the local culture, the Singapore Discovery Centre could also be worth a visit. It has information about the birth and development of the city, galleries that highlight unique Singaporean quirks and an exhibition that explains the vision for the city’s future. All this makes the Discovery Centre a truly educational experience that could help expat families to feel more in tune with their new home. These are just some of the exciting events and activities in Singapore that you and your family can explore. From food and culture to science, history and entertainment, you should be able to find activities to inspire family members of all ages and help everyone settle into their new life abroad.